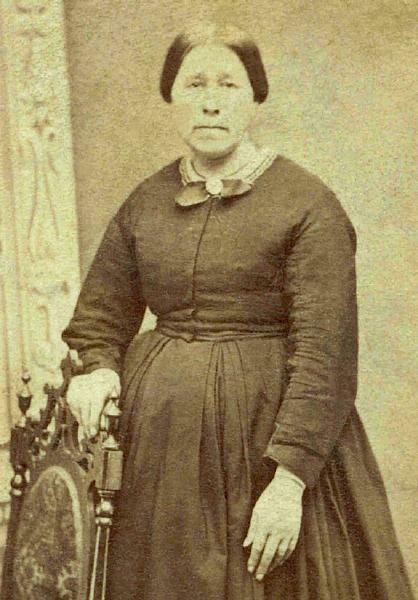 Anna Elisabetha Dexheimer was born on 15 September 1821 in Biebelnheim, Rheinhessen. 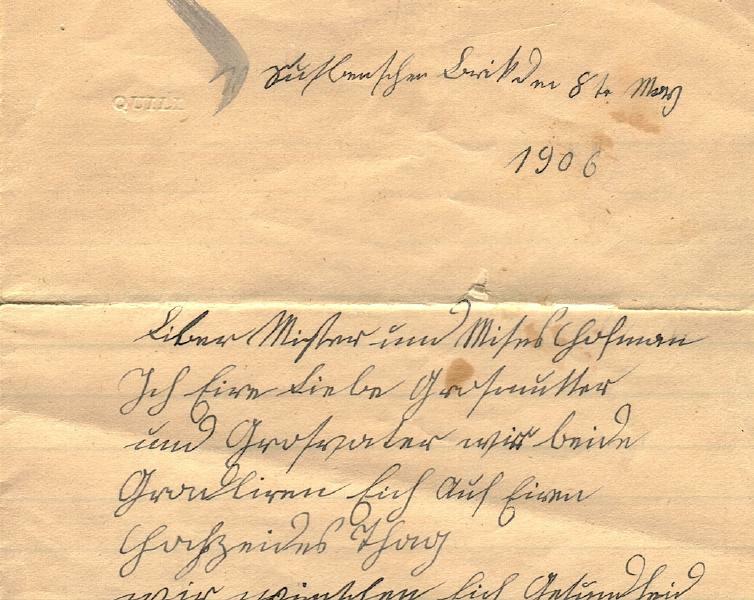 The 18 September 1821 baptism of Anna Elisabetha Dexheimer was recorded in the Reformed churchbooks of Biebelnheim, Rheinhessen. 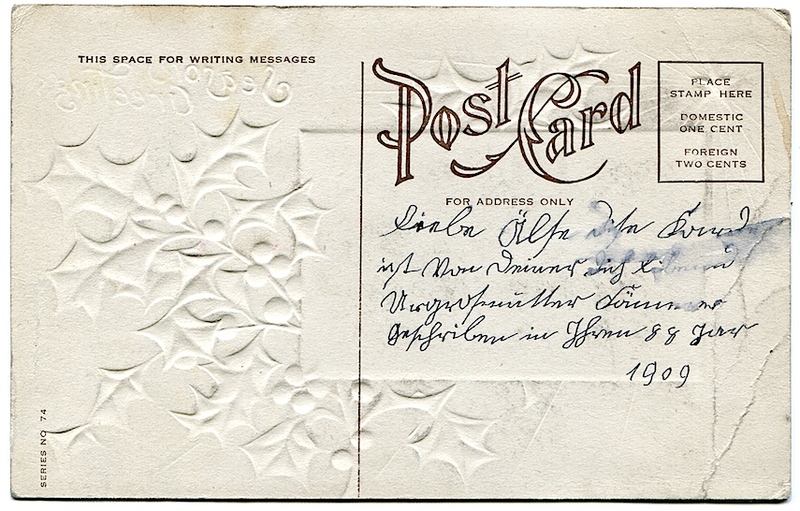 Sponsor was Anna Elisabetha, unmarried daughter of Nicholas Becker, local citizen. She was known as Elizabeth. She married Johannes Kämmerer, son of Valentin Kämmerer and Anna Maria Manz, on 8 January 1849 in Biebelnheim, Rheinhessen. Anna Elisabetha Dexheimer arrived in the Port of New York on 2 May 1851, accompanied by Margaretha Kammerer, Adam Kammerer and Philip Ebling aboard the ship South Carolina (burthen 580 tons, master James Stewart), from Rotterdam. It may be significant that the passenger on the manifest immediately following the Kammerers was brewer Philip Ebling, age 21. She was a tailoress, according to the 1860 census. She was a sponsor at the baptism/christening of Susanna Elizabeth Borth on 6 January 1868 at Zion Lutheran Church in Niagara, Niagara County, New York. 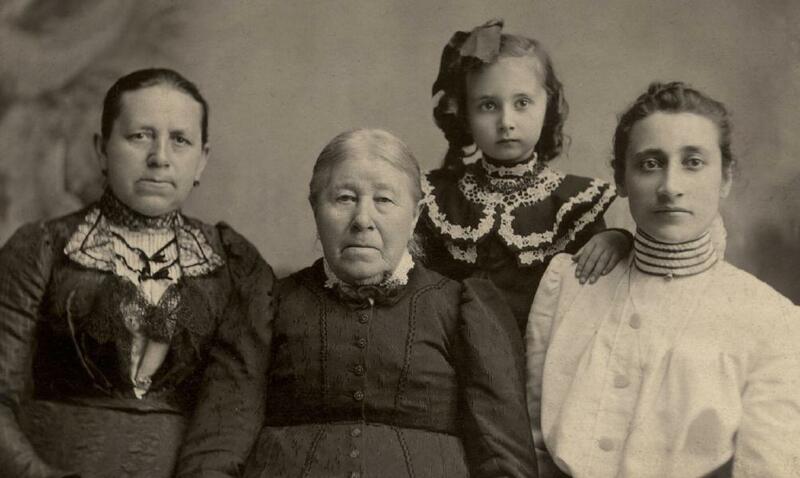 Sisters Elisabeth Dexheimer Kammerer and Magdalena Dexheimer Scheck posed for a photographic portrait sometime during the 1880s. She was a sponsor at the baptism/christening of Lorenz Valentine Frank on 5 August 1883 at in the house of Cornelius Frank in Niagara Falls, Niagara County, New York; by August Oscar Gallenkamp, pastor at Suspension Bridge, according to the Zion church register. I, your dear grandmother, and grandfather, we both congratulate you on your wedding day. We wish you health, peace, and happiness and God’s blessing on all your paths your life long. May the dear Lord grant you this. Warm regards and kisses from both of us to all your wedding guests from your loving grandparents, Elisabetha and Johann Kammerer. Anna Elisabetha Dexheimer became a widow at the 6 February 1912 death of her husband Johannes Kämmerer. Anna Elisabetha Dexheimer died on 4 March 1913 at age 91 in Suspension Bridge, New York. The following appeared on 7 March 1914 in the Niagara Falls Gazette: The funeral of the late Mrs. Elizabeth Kammerer, who died at her home Tuesday, March 4th, was held yesterday afternoon at 2:30 o'clock, from the residence on Lockport street, and at 2 o'clock from the Zion Lutheran church. Mrs. Kammerer was one of the oldest residents of the city, and the funeral was largely attended. The following men acted as pallbearers: Fred Borth, Jr., George Barnett, Jr., Carl Kammerer, F. Ford, George Cooley and George Benning. The body was interred in Oakwood cemetery.